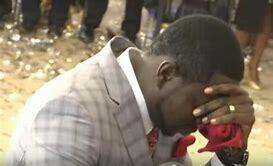 The trial of Prophetic Healing and Deliverances (PHD) Ministries led by Walter Magaya, which is accused of evading paying income tax for sales valued at $28 706 040, kicked off yesterday with the church denying the allegations. PHD Ministries representative Nelson Marimo, who appeared before Harare magistrate Hosea Mujaya, pleaded not guilty to four counts of violating the Income Tax Act, saying the church only received donations, tithes, offerings and contributions from its members, which he said were not taxable. Marimo, who was represented by Admire Rubaya and instructed by Oliver Marwa and Everson Chatambudza, said PHD Ministries, as a church, did not carry any trade through any company or other statutory corporation. He added that the church did not generate any taxable income through operating guest houses or accruals from any investments. “The accused denies generating taxable income through selling church regalia, anointing oil, and holy water or from conducting any trade in the manner alleged. All the monies received by the accused are exempted from income tax considering that all these receipts and accruals are donations, tithes, offerings and contributions from its members, nothing more than that,” Rubaya submitted. On the count where Magaya and wife Tendai allegedly received $2,4 million and $$954 522 respectively, the defence said the amounts in question were not covered by the definition of remuneration in terms of the 13th schedule of Income Tax. The defence claimed the amounts were for loan repayments and the couple’s bank accounts were used as conduits for easy accounting purposes. Marimo said the allegations were simply to embarrass the accused person and they were clearly designed to destroy the church. The State represented by George Manokore led evidence from Zimbabwe Revenue Authority (Zimra) chief investigation officer Tinashe Madakadze, who told the court that PHD Ministries registered with the tax agency on October 20, 2014 as a voluntary church organisation. Madakadze told the court that he wrote two letters to PHD Ministries asking for information, but the letters were not responded to, leading to them raiding their computers in terms of sections of the Income Tax Act. The Zimra official told the court that he went on to ask for further information from the banks which hold accounts for the church. Allegations are that sometime in October 2018, Madakadze conducted tax investigations on PHD Ministries and recovered financial statements from the church computer covering the period 2013 to 2017.